On World TB Day, this is where we stand: Millions of men and women, and hundreds of thousands of children, develop tuberculosis annually—a disease easily prevented at a low cost. The question you might ask is: Why haven’t we stopped it? Over 1 million people die of tuberculosis each year, and it’s one of the leading causes of death among people living with HIV. In the United States, approximately 1 in 27,000 people develop TB each year, while in South Africa, 1 in 100 do. TB most often affects adults during their economically productive years, causing enormous impact on families. As many as 15 percent of maternal deaths are due to TB in settings of high HIV prevalence. 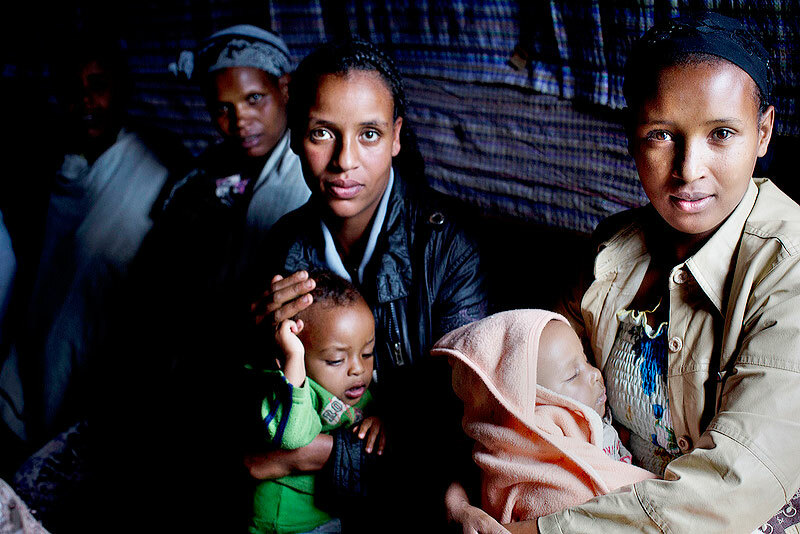 Newborns are 6 times as likely to die in pregnancies affected by tuberculosis. An estimated 1 in 3 individuals who developed TB were left undiagnosed and therefore untreated in 2012. Undiagnosed TB cases contribute heavily to the ongoing epidemic. One-third of the world’s population is thought to be infected with tuberculosis. Ten percent of those infected with TB will develop the disease in their lifetime—a rate that soars substantially among people with compromised immune systems, such as those living with HIV, malnutrition or systemic diseases. This risk factor—living with a compromised immune system—begins to answer the question, why haven’t we stopped it? TB often goes hand in hand with poverty. Common issues in low-resource communities—malnutrition, poor living conditions, lack of access to health services—greatly increase the risk of acquiring TB. It is impossible to adequately address tuberculosis in a community without also addressing poverty and equitable access to health care services. Why else? Diagnosing tuberculosis is difficult because tests are expensive or imperfect and symptoms are largely nonspecific. A more specific molecular diagnostic test, Gene Xpert MTB/RIF, is becoming more widely available, but at $10 a test, it costs more than most countries allocate per person per year for all health interventions. While over 1 million people continue to die of TB each year, the global mortality rate due to this preventable, curable disease has declined by nearly 50 percent since 1990. Recent innovations are making diagnosis easier, and the pipeline of new drugs is stronger than ever. Efforts to control respiratory infection are improving. Endeavors to prevent and treat HIV have even brought new attention to this very old disease, which claimed the lives of 1 billion people during the 19th and 20th centuries. And yet, there remains a long road ahead in our efforts against TB. Now is the critical time to accelerate the response to TB to ensure that the progress made is sustained, particularly in today’s world of increased migration and transience in which an airborne disease like TB can thrive. For an airborne disease like tuberculosis, we say, “TB anywhere is TB everywhere.” Through the President’s Emergency Plan for AIDS Relief (PEPFAR), and the U. S. Agency for International Development (USAID), Jhpiego has been a leader in developing programs and training health care providers to integrate tuberculosis screening and treatment with other important services, such as HIV and maternal care. With HIV prevalence among people with TB as high as 80 percent in some countries, integrated care is a vital intervention to save lives. Jhpiego’s work with infection prevention across the world is similarly important in preventing disease transmission. Through innovation, strategic funding and smart interventions, we can advance efforts to address the preventable deaths occurring across the world. As we recognize World TB Day this Monday, March 24, join us in advocating for increased focus, awareness and action to eliminate tuberculosis and save lives. Stacie C. Stender, an infectious disease expert at Jhpiego and Vice Chair of the Coordinating Committee of Scientific Activities of the International Union Against TB and Lung Disease, is based in South Africa.